The end-of-summer holiday is known for barbecues and a lazy three-day weekend. But with it comes one of the biggest deals in retail. We’re talking, of course, about major mattress discounts. If you’re in the market for a new bed, this is one of the best times to look. Summer’s last hurrah is one of the biggest shopping holidays of the year. It’s also the last time to score a great deal before Black Friday. This year you can expect to see tons of fantastic promotions. In fact, the sheer number of markdowns can be a little overwhelming. We’re making it easier by comparing the best deals from major retailers all in one place. Take it easy this Labor Day, and use our shopping guide to get a head start. Our Recommendation: Amerisleep AS3 — Amerisleep offered a sale price of $1,199 on their industry-leading AS3 queen mattress with up to two free pillows. This Labor day sale is available to anyone who entered the promo code LD200 at checkout on their website. With a 100 day trial period and a 20-year guarantee, it’s no surprise that this model has one of the highest customer satisfaction ratings of all brands. Second Place:Serta iComfort Hybrid HB300 Cushion Firm Queen Set — Serta iComfort Hybrid HB300 Cushion Firm Queen Set was offered at a sale price of $2,299 at Serta retailers. With a 120-day trial period and a 10 year guarantee. it makes sense to try out one of these beds before you make the purchase. Thinking about getting a memory foam bed? We’d recommend starting your search with Amerisleep. 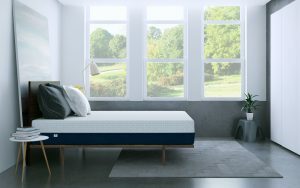 This relatively new online manufacturer offers a range of plant-based memory foam beds. And they’ve developed a bit of a cult following. Amerisleep’s products have racked up more than 14,000 verified reviews with an average rating of 4.7 stars. And an incredible 98% of Amerisleep customers say they would recommend the brand to a friend. And it gets even better. You can save up to $200 on Amerisleep’s mattresses and recieve up to two free pillows over the holiday weekend. Amerisleep’s AS3. The bed’s medium surface is a great choice no matter what your sleep style. Need more proof? Allure magazine rated it as the best mattress you can buy online. Amerisleep’s AS2. Plagued by back pain? This medium-firm mattress might be right for you. It’s made specifically for back and stomach sleepers. In fact, Business Insider declared it “the best mattress for back pain.” You can’t get an endorsement much better than that! Exceptional Bio-Pur® foam. Part of Amerisleep’s proprietary foam is made from from plant ingredients. It’s five times more breathable than traditional foams. That can help you stay cooler while you sleep. It also bounces back to its original shape within seconds—so there’s no sagging. HIVE® technology. HIVE stands for Harnessing Intelligent Ventilation and Energy. It provides targeted comfort and support—so your bed is firmer where you want it and softer where you need it. Another important perk? These high quality beds are offered with a risk-free, 100-night sleep trial. If you’re not completely satisfied, all you have to do is let Amerisleep know within 100 nights of your purchase. The brand will issue a full refund. They’ll also work with a local partner to pick up and recycle your mattress. So you don’t have to worry about re-packing it or sending it back. There are lots of mattress options out there. But you really can’t go wrong with this brand. We’d recommend starting your search with Amerisleep’s AS2 or AS3. Or consider looking into the brand’s other mattresses. 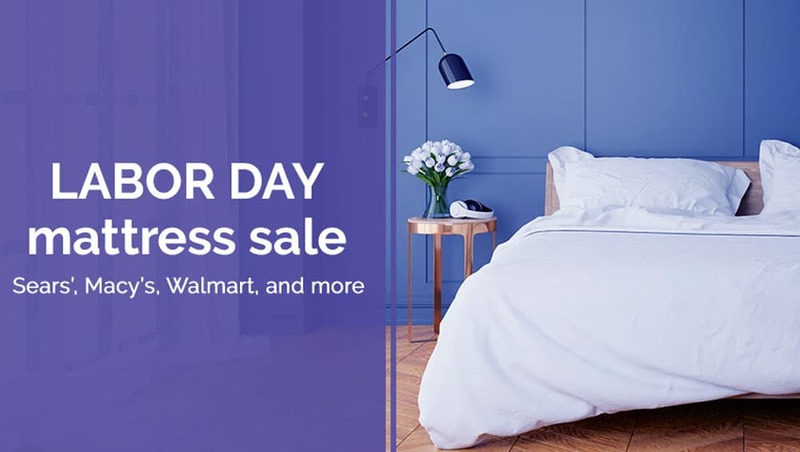 During the Labor Day holiday, all of Amerisleep’s mattresses will be available for $200 off with up to two free pillows when you use promo code LD200. With great savings and a risk-free trial, there’s really nothing to lose. As we mentioned earlier, you’ll find markdowns galore over the holiday weekend. But before we get into the detailed comparisons, let’s highlight our recommendations of the season. We chose these based on specs, warranties, return policies, price, and reviews. They’re grouped by price range for easy navigating. Looking for more? All of the beds listed below have above-average quality specifications. They’ve also earned good mattress reviews and offer decent return/warranty policies. As with other holidays, retailers and department stores advertise big deals and discounts on beds. But you might see better promos this weekend compared to Memorial Day or July 4th. So if you waited all summer to shop, you’ll likely win out big time. Freebies including complimentary box springs, pillows, and sheets. Gift cards, especially ones earned via mail-in rebates. Financing offers, so you can pay less up front. Instant discounts to help you save big. These markdowns and promos are most common among traditional spring mattresses. But more and more stores are running deals for memory foam and latex models too. You can also find price cuts on adjustable beds and adjustable mattresses. In short? Whatever you’re looking for, there’s bound to be a sale. All you have to do is see what’s out there. Check out what brands offer the best value for you—and you’ll find your perfect match. We’ve shared our recommendations with you. But every shopper is different. What works for one sleeper might not be the right fit for someone else. That’s why it’s important to see what all the brands are offering. There’s something out there in every price range and category. And you don’t want to miss out. This year Labor Day falls on Monday, September 3rd. The majority of promo ads will roll out the week before. Expect prices to drop as early as Friday and stay low through Monday or beyond. We’ve added the info we’ve been able to find so far. But keep checking in. Brands will announce more steals as the holiday gets closer. So we’ll be updating this page regularly with new info. Remember, this information is subject to change. Read on to see deals organized by retailer. Then compare the best offers sorted by price range to find the best fit for you. Online at Amerisleep.com from 8/29 – 9/4. 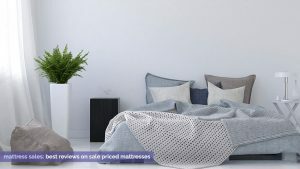 $200 off any plant-based memory foam mattress and up to two free pillows with code “LD200.” Includes free shipping and free returns. From $999 in queen with sale. Online at Casper.com until 9/3. Online at Leesa.com, dates not listed. Online at Macys.com and in stores, from 8/29 – 9/4. Free adjustable base with luxury mattress purchase. Adjustable base model not disclosed. 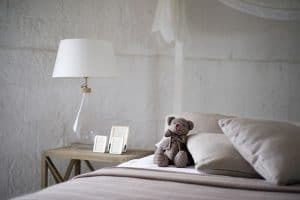 Want to know which mattress you should buy? Read our review of the top 10 best beds. Online at MattressFirm.com and in stores through 9/5. 26 models under $600 in queen. Online and in select stores, from 8/26 – 9/9. Are you bothered by back pain? Check out our guide on sleeping with back pain. Clearly, oodles of discounts are popping up for the holiday weekend. Not every promo and price cut is as good as it sounds though. Some brands bring better values than others. Knowing how to spot a great one can help you save more. But many shoppers simply don’t have the time to scan dozens of ads and research every bed. Others might feel intimidated by showrooms and the shopping process. Don’t let those concerns get you down. We’ve researched each promo event in-depth to bring you detailed specs and product facts. So you have the info you need to make a smart comparison. Here’s a look at some of the price cuts we’ve found so far. Remember to bookmark this page and check back often. This page will be updated frequently. We get it. You don’t want to spend hours researching the best bed options. (Especially over a holiday weekend.) So we’ve sorted the deals into two categories for faster reference. You can find separate groups for budget mattress deals (under $1,500) and higher-end mattress deals (over $1,500). No matter your desired price point, you’ll be sure to find a match over the holiday weekend. Our goal is to keep things as simple as possible. So we’ve included specs on the chart for fast reference. You’ll find details on key factors like support cores, springs, and foam layers. (Depending on the mattress type you choose.) Note that not all brands share this detailed information. You’ll see a “?” whenever that’s the case. Sale prices based on queen size beds. The retailer offering the deal. Return information. This includes how long a retailer gives you to make a return or exchange. Information on sales can come from a variety of sources. Think advertisements, press releases, news sources, retailer websites, and social media. We worked to verify all the details as best we could. However they could be subject to change. No matter your preferred bed type, brand, or price range, it’s always smart to do your research. A new bed is a big purchase. So you want to review the details carefully before making a big commitment. During these types of events, you may find beds that look like a good deal on the outside. But their low quality and poor guarantees might soon leave you tossing and turning. Prices of similar beds from other retailers. The retailer’s return policies, along with any exclusions or fees. Consumer reviews. These aren’t a must, but they can be another source of helpful, unbiased information. Definitely check them out if you have time. Use the power of reviews. Learn how consumer reviews can help you comparison shop. Want to shop as savvy as possible? Here are some more pro tips. Keep them in mind, and you’ll be guaranteed to save big. No one wants to feel rushed while they shop. Especially when it comes to big purchases like a new bed. The lesson? 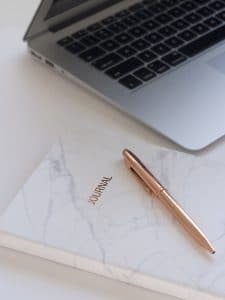 Give yourself time to track down the promos and evaluate them. Getting started a week or two ahead of time should do the trick. Decide on your budget and stick to it. A great bed is certainly an investment in your health and wellbeing. (And a long-term one at that!) But you don’t want to spend more than you bargained for. If you find a mattress beyond your budget, many retailers offer financing options. Just be smart. Should you opt to finance your bed, be mindful of the payments and interest amounts. Not all offers are as great as they seem up front. Some may come with hidden costs or troublesome fine print. Take a look at the deals you’re considering. If you’re unsure about the terms, ask. This goes for Internet-based brands too. Many retailers have online chat support or phone numbers for shoppers. Take advantage of these resources. If you feel pressured, walk away. Sales people thrive on high-pressure situations. That’s why showroom negotiations can sometimes get tense. If you feel like you’re losing control in the conversation, just walk away and clear your head. You don’t have to buy into whatever the sales person is telling you. Don’t buy the first thing you see. It’s smarter to scope out a few options, even if that means taking a little extra time. Remember that most of these offers will run for several days. So give yourself some time to comparison shop. Just don’t wait too long. Otherwise you could end up missing out on the markdown. More and more shoppers are looking for their beds on the Internet. This might seem unusual if you’re used to walking through a showroom and trying models in person. But the online option can actually be a better choice. Online retailers tend to offer the lowest possible prices. Plus, you can shop on your own time without feeling pressured by pushy sales people. Best of all? Most online retailers have generous try-at-home policies. And they’ll pick up the bed for free if you decide it’s not the right fit. You’ve looked through the offers and trends that are currently available. And you’ve racked up tips for how to shop smart and score a great price. Add it all up, and you’re ready to find a new bed during the holiday weekend. Keep in mind that our list of offers is far from complete. We’ll be posting more info as new ads roll out. Bookmark this page and check back often for updates. But if you’re looking to settle on a recommendation right now, we’d recommend considering Amerisleep. All of their beds—including AS2 and AS3—are widely loved. Plus, they’re being offered at $200 off over the holiday weekend with up to two free pillows! Considering their 100-night risk-free trial and easy return policy, you really can’t go wrong. Of course, every shopper is different. So think about your needs and compare your price options. With a little bit of effort, you’ll be sure to find a dream-worthy bed for less. Mattresses are impossible to find on the website without a model number. 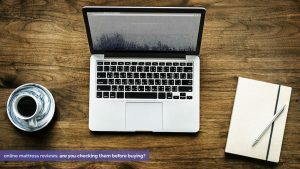 We located details by searching the names on retailer websites or via store ads in most cases, but will keep this in mind for future holiday deal posts. Thanks for reading! I see old 2014 comments and q&a; is this an active 2016 Labor Day Mattress Sale site? Thank you! Could you give us some details on the Serta Serenity bay firm vs. the Sealy Posturpedic Larkin Lane comfort firm both at Macys? Specifically, what caused you rate the Serta above the Sealy? Thanks! Sorry for the late reply, missed your comment! The Serta has a fiber and gel memory foam top, 886 independent coils and a 20 year warranty. The Sealy model has more loft in fiber and foam/gel MF layers but with only 600 independent coils and a 10 year warranty. The Serta model also had higher reviews and was $100 cheaper during the sales.. Obviously this was late but hopefully the reasoning helps! Is this going to be updated with the best deals? I see 2014 dates on comments-is this an active site for 2016 Labor Day Mattress sales? it’s friday before labor day, where are the details!?! Deals are now up, sorry to keep you waiting! !